From the Sargerei and Felsworn Arakkoa, we now enter the home stretch! Only demons themselves stand between us and our goal of Gul’dan’s demise! Unfortunately Blizzard started to rake the bottom of the barrel when it came to this wing, as it’s only the final boss of the wing that actually has any backstory outside of Hellfire Citadel, but I’m sure Mannoroth has plenty for himself while Fel Lord Zakuun and Xhul’horac are merely lore bystanders within Destructor’s Rise. Who Are We Killing? Let’s find out. Not only has Zakuun never been seen before 6.2, but this evolution of mo’arg has never been seen before either. While the standard mo’arg can be warriors or engineers, it would seem that the latter only arrive during the later stages of an invasion. Until then, the warrior members of mo’arg, known as felguards are the bulk of the Legion’s forces observed in all stages of an invasion. 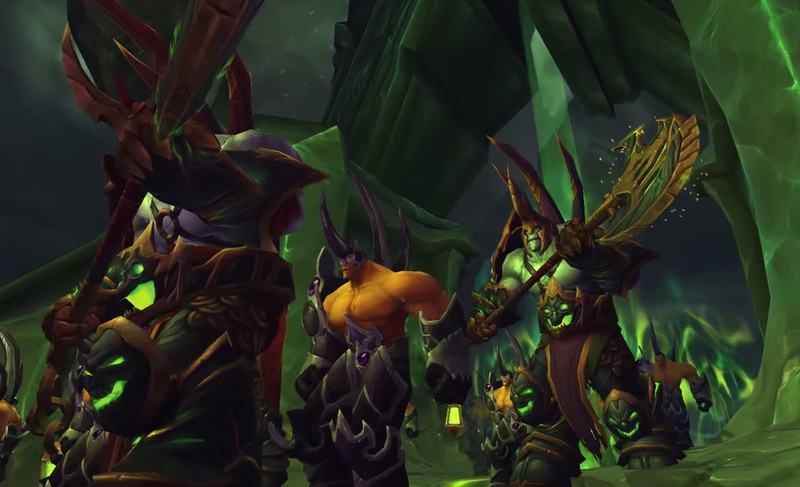 The Fel Lords on the other hand have yet to be seen until now, and judging from the next expansion teasers they’re also present there, so it is entirely possible that these demons are largely used during the beginning of an invasion. That, or Blizzard just wanted a Felguard boss and wanted a unique model to set Zakuun apart. Zakuun’s role within Hellfire Citadel is to break the will of the stubborn and defiant Warsong Chieftain, Grommash Hellscream. What the legion has planned for him, I don’t really know. He would be an asset in himself as well as whatever’s left of the Warsong Clan, but them on their own aren’t such a significant force as they were at the start of the expansion – the Iron Horde is in ruins! Defeating the Fel Lord brings Grommash to our side, because making friends with a genocidal maniac that’s spent the past year trying to kill us has always been a smart plan – at least he’s apologised, right? Right? Well, I guess the enemy of my enemy is my naive friend. In a horrific echo of the main universe’s events, Gul’dan has used the skills of the Shadowmoon Clan to bring the void revenant Xhul’horac to Draenor in order to open portals to demon worlds. If multiple portals are opened, it threatens to tear Draenor apart and cause it to fall into the Twisting Nether. We know how that ended up when Ner’zhul did it in our universe. This race of the void, the Void Revenants, were introduced in Warlords, alongside Nhallish in Shadowmoon Burial Grounds and Annihilon the summonable garrison boss, though not much is known about them. The power of them can be compared to void gods (such as Entropius in the M’uru encounter) – not forgetting that the weaker void lord Dimensius devoured an entire planet – Xhul’horac could therefore completely decimate Draenor even just in his void state. 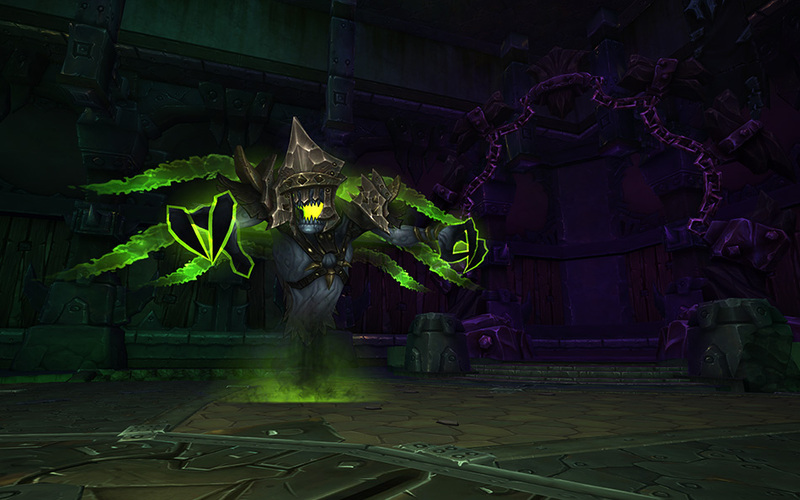 Gul’dan has gone one step further by infusing him with fel energies to create an unstable shadowfel amalgamation. In an attempt to save Draenor itself, raiders have to balance the void and fel magics and attempt to keep them separate before banishing Xhul’horac back to the Void. Once raiders reach the pinnacle of Hellfire Citadel, they are met with a pile of bones and three minions of Gul’dan. 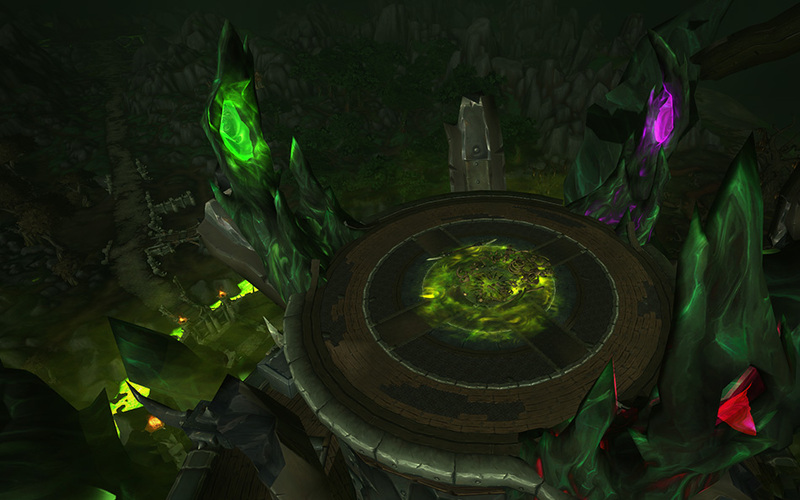 The fel spires act as conduits in order to reanimate the bones into the Pit Lord Mannoroth. 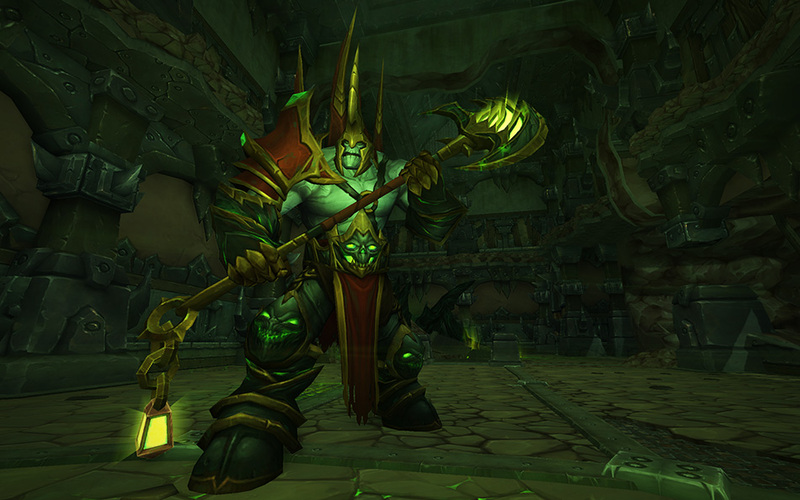 Despite defeating the summoners however, Mannoroth is still reanimated – though in a weakened state. Through the course of the fight, Gul’dan empowers him to become more and more devastating, either granting him new abilities or empowered versions of what you see previously in the fight. 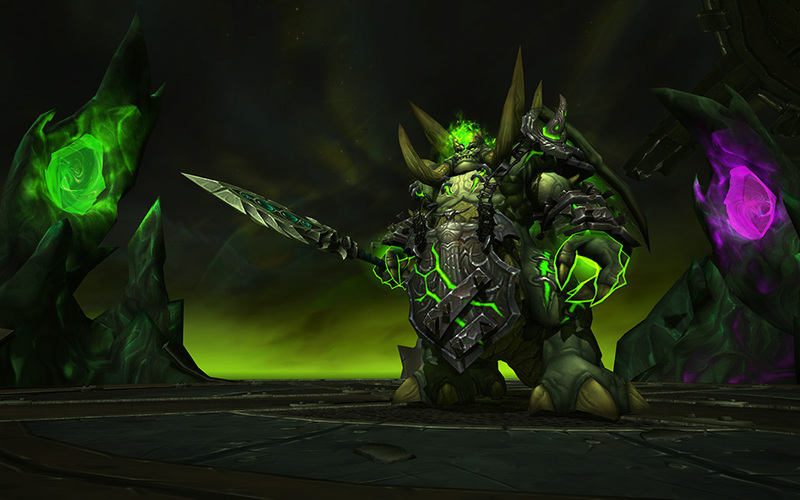 Mannoroth has made appearances within Warcraft since War3, though in lore he is very much among the main catalysts for the entire franchise. His blood corrupted the original orcs and turned them into the bloodthirsty monsters we’ve known since Orcs and Humans. He is the barbaric leader of the Annihilan (otherwise known as Pit Lords) and quickly rose in Archimonde’s favour to become a favoured lieutenant of the Burning Legion, even becoming his second-in-command. In addition to brutal martial prowess, he also possesses extreme magical knowledge and power – other than his masters the only being that he’s recognised as his superior in magics was Queen Azshara. Indeed, Mannoroth has had two dealings with Azeroth – first at the War of the Ancients 10,000 years ago as a full Legion force before once again more recently in a little more subterfuge in using the orcs to overrun the planet our raiders call home. Still, he can’t seem to survive an axe to the head, on more than one occasion too. And that’s it! We’ve defeated the best the Legion has to send at us! All we have to do is chase Gul’dan to the Dark Portal where he’s creating what he calls The Black Gate and take him down! But wait, what’s this…? Join me next time for the final installment of Hellfire Citadel’s WAWK to find out more about Archimonde and what implications this has for the next expansion!